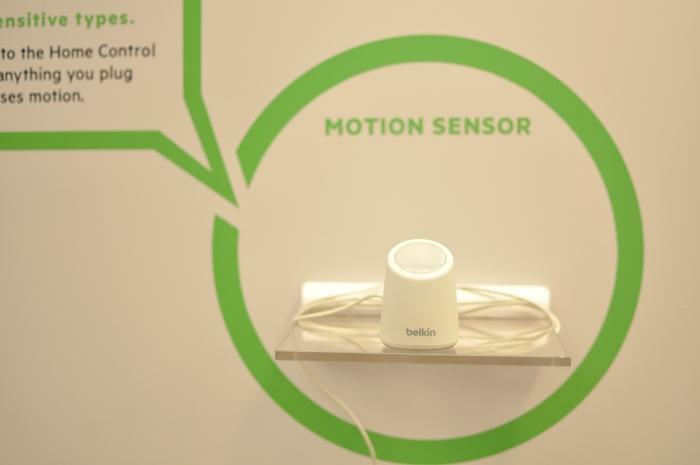 Keeping with the popular CES theme of home connectivity, Belkin announced several products that expand consumers’ opportunities for creating something of a “smart home,” including the WeMo line of products. Smart technology for homes has been around for some time, but it usually comes with an outrageous price tag and requires some form of custom building or designing. These factors make it not an easy (or inexpensive) task. The new WeMo line from Belkin aims to give consumers custom-configurable technology for home electronics without the high price tag or commitment. WeMo products will all be available for individual purchase to give users flexibility and the devices will all be controllable via a free app for smartphones and tablets. 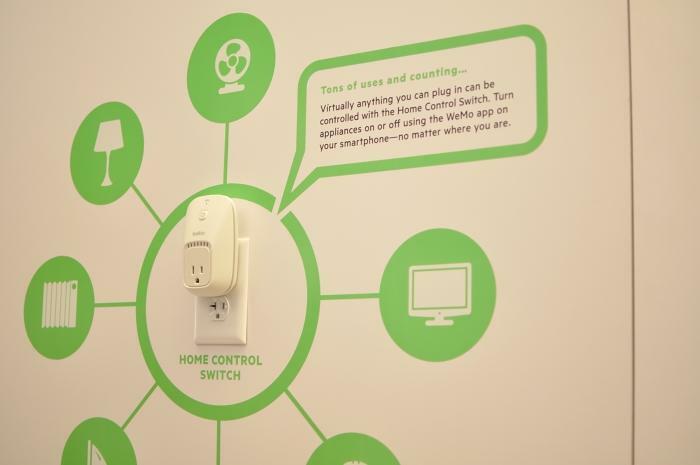 The first product is the WeMo Home Control Switch ($50), which allows users to remotely turn on and off anything that is plugged in (like a lamp) via the WeMo app, or schedule the item to be turned on and off at specific times. Users can buy one of these or many to create their own personlized home system. The second product in the new line is the WeMo Motion Sensor ($60), which is pretty self-explanatory; it will turn a light or other device on and off when motion is sensed or the room is empty. This can be used by itself or in tandem with the Home Control Switch to create a system of home connectivity. Both of these products will be available in March along with the free WeMo app, with more products launching in the fall of this year. Other additions to the WeMo line will likely include a garage door opener, a door lock, a baby monitor, and light controls, all of which are still in development but may launch by the fall. 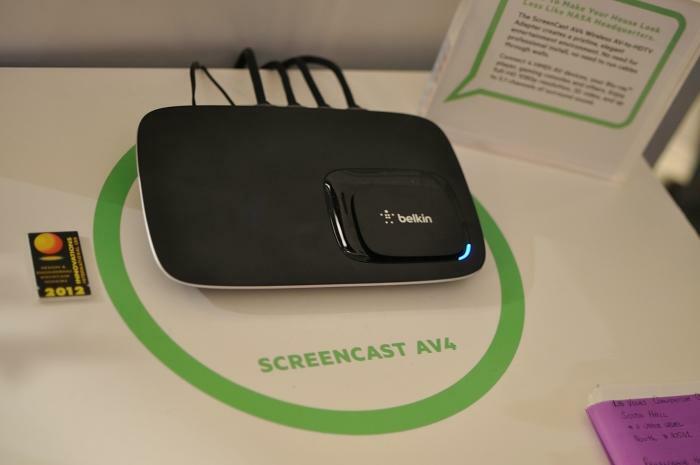 In other areas of connectivity, Belkin also showed some products that help users make the most of their media, like the Screencast AV4 ($250), which will wirelessly connect up to four home theater devices to your TV via a transmitter. The idea here is that you can connect all of your home theater devices to this unit and hide them away in a closet or cupboard not to be seen, and the transmitter will do the rest. The company is also working on a unit that would allow remote control, recording, and viewing of DVR content on mobile devices, but no word yet on the specifics of this.